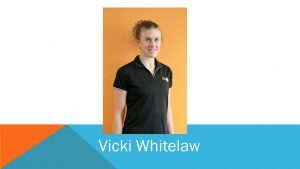 As a movement therapist, soft tissue therapist and sports coach, Vicki has a passion for her clients to feel better, move better and perform better, whether this involves performing at an elite level in sport or meeting the challenge of moving freely and without pain in their daily activities. Vicki believes that soft tissue therapy, Pilates and movement science go hand in hand. When there are soft tissue imbalances in the body, it is impossible to work to your full potential, and the combination of stability and strength enhancement along with soft tissue massage help remedy these limitations. Vicki has a varied background of study with a particular interest on injury prevention and overuse patterns in the hip, pelvis and lower back. A second area of interest is cycling performance, injury prevention and treatment. Vicki combines her cycling and coaching experience with her exercise science and soft tissue training to address issues such as bike fit, overuse injuries and cycling efficiency. Vicki continues to further her education by attending conferences and seminars conducted by specialists in the area of functional movement, strength and conditioning and coaching sciences. Vicki is available at the Clinic 88 Macquarie location Tuesday nights only.